This entry was posted on April 14, 2014 by edithlevyphotography. 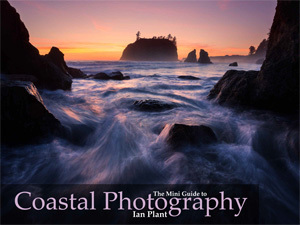 It was filed under Book Reviews, Landscape and was tagged with coastal photography, Dreamscapes, ebook, Ian Plant, landscape, Landscape Photography, mini-guides, photography guide, sand dunes, slot canyons. Thanks for the introduction to the books. I’ll be thinking of you tonight. I miss my grandfather’s seders. We’d have the full meal and the readings. Then he’s hand out Easter eggs. It was VERY confusing, but the I enjoyed the rituals. What memories our family bestow upon us. Thank you Sally. Family memories really must be cherished but I think its great that you were able to celebrate both holidays. I’m a big fan of Ian’s and follow his work. I also have a collection of his book, which are excellent. They look great on the iPad and I find them inspiring. I don’t have these but just as well add them to the collection. 🙂 As you know, I do a lot of coastal work so I am particularly interested in Ian’s take on the topic. Thanks Jimi. I really enjoyed these and you’re right they look terrific on the iPad. Thank you for sharing, Edith, and have a wonderful Passover. Coastal Photography particularly looks great! I really liked it Phil. And photographing Slot Canyons is on my photographic bucket list so that one was of value to me as well.